Ill Seen, Ill Said: N.E.E.T. 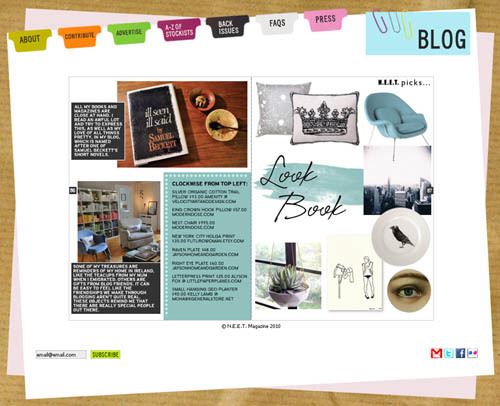 & Where we blog from! N.E.E.T. 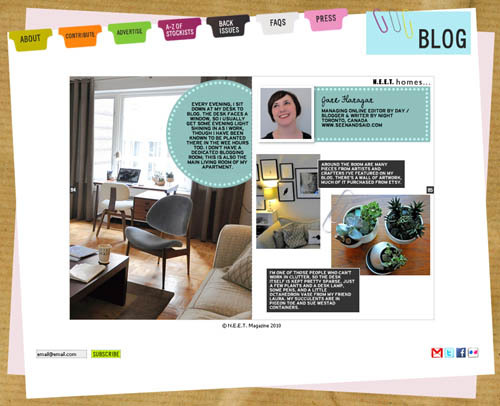 & Where we blog from! Stephanie of N.E.E.T magazine liked my regular "Where we blog from" series enough to want to feature it in the latest N.E.E.T. magazine and I was overjoyed to oblige her with a little tour of my place (turn to page 83 for the feature!). Stephanie also asked three other bloggers to contribute where they blog from in the same vein. It's so fun for me to see my little feature and home in this lovely e-zine! If you're visiting from N.E.E.T. welcome! "Where we blog from" runs every Monday! A special thanks to all the talented bloggers who participated in "Where we blog from" to date (especially those brave first few!) And finally, for anybody interested in actual objects the see in my apartment pictures, I've added notes to photos in Flickr, or just leave a comment and I'll answer!